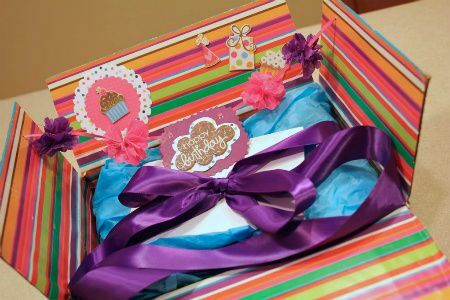 My friend Allison lives about five hours from me, and since I couldn’t pack up Kate’s party and bring it to her, I decided to do the next best thing: deliver her a birthday party in a box, using Kate’s birthday decorations and colors for the inspiration! 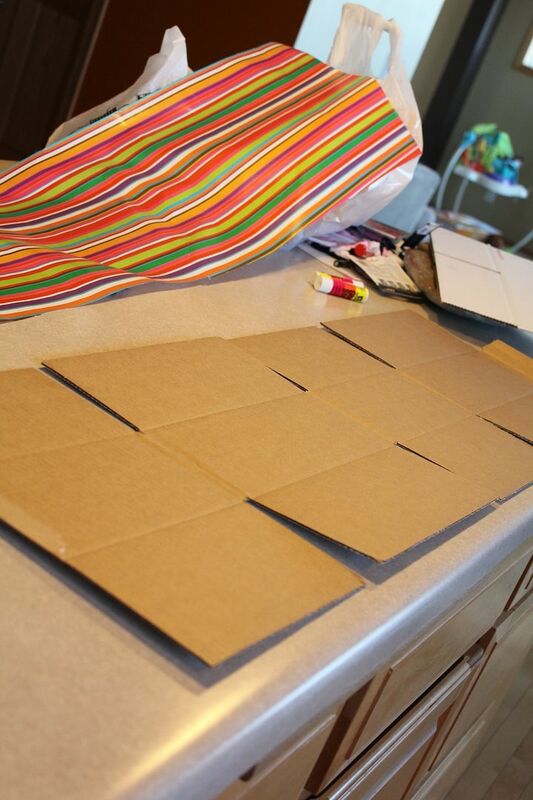 Next, take your favorite wrapping paper and glue it to the inside of the box. I used a good old-fashioned glue stick for this. 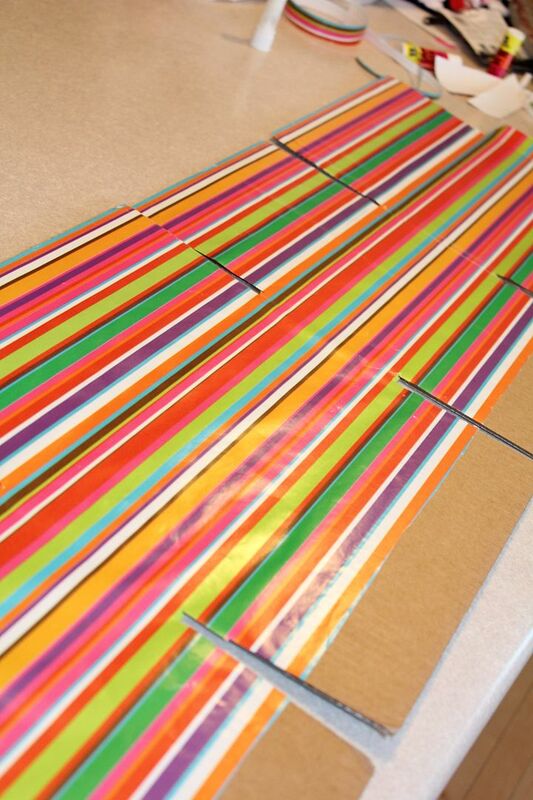 Any adhesive will do. 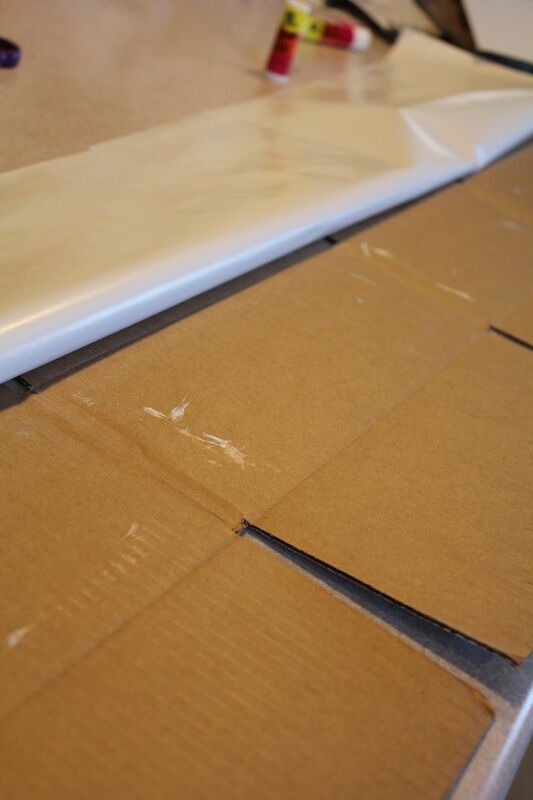 Reassemble your box, using packaging tape to securely close the bottom flaps. 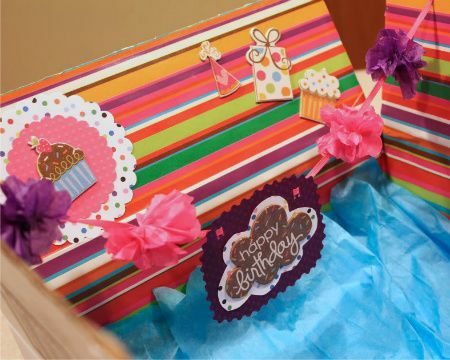 If you’d like to include a little birthday banner that pops up when the box is opened (like I did for Allison’s) take a hole-puncher and punch a hole in opposite flaps of the box. 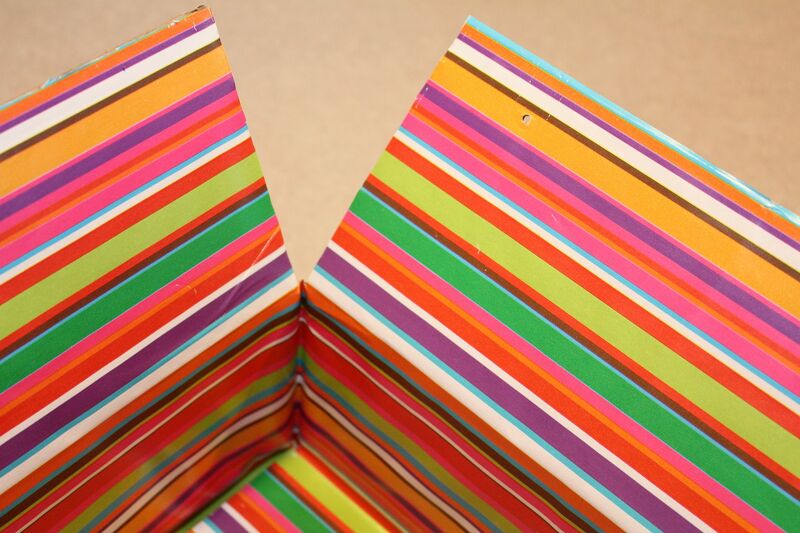 Be sure you are punching your holes into the two flaps that will be folded down first when your box is closed. 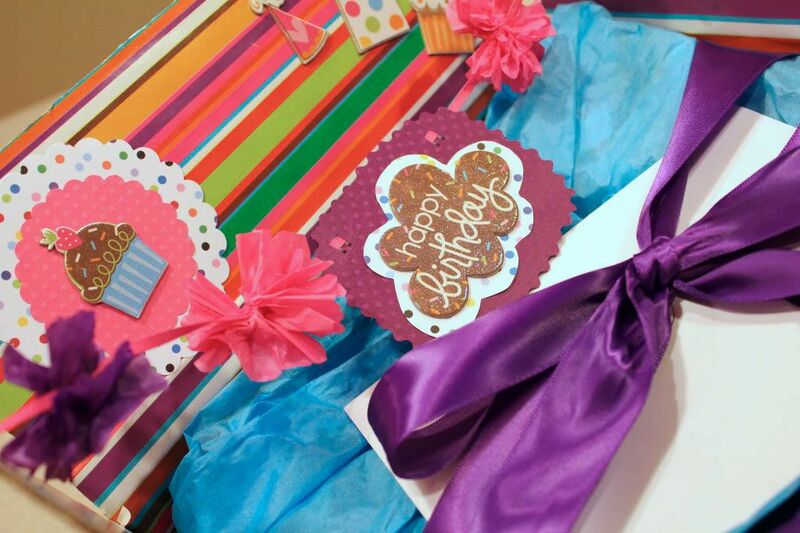 For Allison’s birthday box banner I made miniature tissue paper poms like the poms I made for Kate’s party. Paper cut-outs re-used from Kate’s party, and some festive birthday stickers complete the decorations. 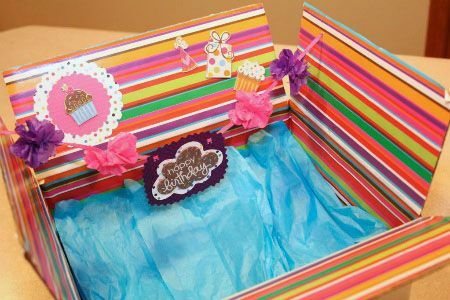 Allison’s very own birthday party in a box all set to be closed up and shipped out! That is the most awesome idea ever. My best friend just found out she’s having a baby girl. Looks like I’ll be sending her a baby shower in a box! Thank You so much for this awesome idea! Um, that’s phenomenal! Love it! How sweet of you! I’d love to receive a nice package like that from a friend or family member. That’s awesome! You definitely are a fabulous friend. This is so cute! I way steal it from yoU! I still have the box! Honestly, it could’ve been empty and I would’ve loved it the same! SO thoughtful! I sent my mother’s day packages wrapped on the inside and it was a total hit. Love this! I’m totally stealing this idea! Best birthday box ever! You are so damn creative.